In 2009, temporary tatoos abounded at the Northern Virginia Summer Brewfest, in Leesburg, Virginia. They may again, today and tomorrow, at this year's festival. Of course, beer will be in abundance, as well. Nearly 60 breweries, some local, will have beers present: some in bottles, many on draft, and a few served cask-conditioned. 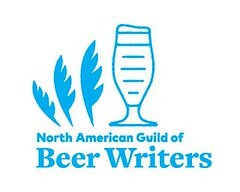 Several of the breweries are sending representatives, and some, the brewers themselves. UPDATE: More links and stories from the festival. A slideshow of photos from this year's festival: here. Individually displayed: here. Photo may be reprinted, but only for non-commercial purposes. Commercial use requires permission, as per Creative Commons. It was to be one quick 'session' pint at my local today: Fennec Bitter at Mad Fox Brewing Company in Falls Church, Virginia. And, then, I ran into Stephen Demczuk [pronounced DEM juk], the guru behind Baltimore-Washington Beer Works' The Raven Special Lager. He was talking to brewer Charlie Buettner about the brewpub's brewing system. Because Demczuk, after nearly 15 years of having his beer brewed for him under contract by someone else, has decided to build his own brewery —and he was doing his 'due diligence' about which brewing equipment to purchase. If you're a Baltimore native (or visitor) of a certain age, you'll remember the Baltimore restaurant Haussner's . For nearly 70 years it was a city landmark, renowned for its crab cakes and 'continental' cuisine, imported beer, and collection of artwork. Haussner's closed in 1999. In addition to that loss, Baltimore' German-style lager brewpub, DeGroen's, closed its doors in 2005. Demczuk, a German beer lover in the computer recycling business, says he plans to re-open Haussner's, but installed with a brewery, brewpub, and a bottling/kegging facility on-site. "We'll concentrate on German-style lagers," Demczuk said, but his brewer, who has already been hired, will brew some ales as well. By this point, Demczuk was heading out the door, on his way to his next stop, the District ChopHouse, in Washington, D.C. He told me that he wanted to meet with brewer Barret Lauer and examine the brewing equipment there. 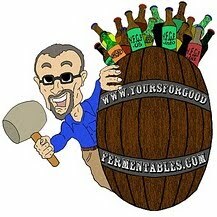 Demczuk plans to open his brewery and pub in 2013. Demczuk's The Raven Special Lager is currently brewed under contract by the Heavy Seas Brewing Company of Baltimore. UPDATE: In the echo-chamber that is the internet, the story quickly went 'semi-viral' after appearing here. Sandy Mitchell, at Beer in Baltimore, who had earlier embargoed news of this, posted his story. The Baltimore Sun, which nicely credited Mitchell as one source for its story. Baltimore Business Journal (which did not). Caveat lector: As a representative for Select Wines, Inc. —a wine and beer wholesaler in northern Virgina— I sell The Raven Special Lager. As seen at Public House No. 7, in Falls Church, Virginia. Pic(k) of the Week: one in a weekly series of personal photos, often posted on Saturdays, and often, but not always, with a good fermentable as subject. If you live in the northern Virginia area, especially in and around the Vienna area, and if you're a fan of good beer and wine, and if you're a supporter of local businesses, there's some good news for you this morning. Norm's, a long-time good beer (and wine) shop in northern Virignia was threatened with loss of its lease at its Vienna, Virginia location, by both the landlord and by a coming tenant, The Fresh Market (based in North Carolina). A Facebook page in protest and support, Save Norm's Beer and Wine, would soon attract over 1,700 followers. On 29 May, activity fomented by the site appeared to be making a difference. The Vienna Patch reported that "Fresh Market says it will work with landmark Vienna store." Yow is Norm Yow, the shop's eponymous owner (pictured here, on the right, with Bob Tupper of Tuppers Hop Pocket Ale). Sometimes nice guys don't finish last! A commendation might also be due to The Fresh Market, a large out-of-state company that appears to have responded to conditions on the ground. That's not altruism, it's good business practice. A view of the Tennessee River in downtown Chattanooga, Tennessee, at sunset. It was Day 5 of a southern beer jaunt, Memorial Day week, 2011, for Yours For Good Fermentables. The hot days (and nights) certainly lent themselves to good beer. More photos from the expedition: here. Pic(k) of the Week: one in a weekly series of personal photos, often posted on Saturdays, and often, but not always, with a good fermentable as the subject. In 2008, the New Yorker Magazine profiled John Gasparine, a woodworker in Baltimore, Maryland. On his suggestion, the Dogfish Head Brewery, in Delaware, had built a fermenting tank entirely out of Palo Santo wood —from Paraguay— sweet and aromatic, and one of the hardest woods in the world. Sisson met with Gasparine and introduced him to Steve Marsh, the cellarmaster at Heavy Seas. Marsh has overseen Heavy Seas' cask ale program since 2005, growing the brewery's inventory of firkins (10.8 gallon stainless steel casks) from two to nearly 300 today, and winning Heavy Seas numerous plaudits, including a silver medal at the Great BRITISH Beer Festival, the world's most prestigious cask ale festival and competition. Marsh and Gasparine hatched an idea. What would happen if wood planks were introduced into a vat filled with fermenting beer, rather than aging already fermented beer in a wooden barrel? The question became a three year partnership. The two experimented with different woods, all of which had been specially heat-treated for commercial purposes. They tried out different sizes of planks and wood chips; they used different malts and hops; they fermented beers in different batch sizes with different yeasts. Marsh chuckles when describing the size of the spreadsheet they built. The end result has just been released. Heavy Seas calls it PLANK I.
PLANK is a series of beers showcasing unique wood ageing treatments to add flavor and nuance. Our first offering --PLANK I-- features an English Style Olde Ale matured with specially treated Poplar wood planks. Look for a subtle, "roasty" wood character <...> There will be new PLANK offerings from time to time Alc./Vol. 8%. On 7 June, Plank I was released in northern Virginia in three nearly simultaneous cask tappings: Evening Star Cafe in Del Ray, Eventide in Clarendon, and Fire Works, in Arlington (Court House area). Photos from Eventide: here.